September 9, 2018 - The U.S. produces about 1 billion tons of coal annually, a little less than 12 percent of the world supply. Coal generates about 40 percent of the electricity in the U.S., and nine out of 10 tons of coal in the U.S. are used to generate electricity. The U.S. has about 235-year supply of coal, if it continues using coal at the same rate at which it uses coal today, according to the American Coal Foundation. About a month ago, I tuned on the radio to WEIR-AM around 10 minutes before “The Neapolitan Show.” Instead of “The Athenian Hour,” WCDK-FM was on, the sister station of WEIR. Dimitri Vassilaros was interviewing Robert Murray of Murray Energy Corp. I called Murray Energy asking about the interview and was told to go on Facebook to the location Make the Valley great again. There is much more to the interview, but these are just a few facts that I found interesting: During the eight years of the Obama administration, 411 coal-fired power plants closed, and more than 100,000 megawatts had been removed from the electric power grid. Comparing prices per kilowatt, coal costs 4 cents, gas costs 15 cents, wind and solar are 27 cents each. Wind and solar receive a subsidy of 30 percent from the government — taxpayer money. Another source of power is nuclear, I don’t recall the cost, if he gave it. Murray stated that the most dependable and least expensive fuels are coal and nuclear. Both are the target of the climate change crowd and the politically correct. Studies have shown that if they got rid of every coal-fired plant in the United States, the environment would only change 0.02 Kelvin to the Earth’s cooling, which would be unnoticeable. Coal-fired plants cost about $130 million to keep open, $2 billion to close and $5.7 billion to convert to gas. Murray did state the Ohio Valley will lose 10 coal-fired plants. 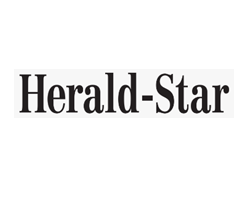 The Sammis Plant, owned by FirstEnergy, just announced its impending closing for June 1, 2022, according to a story in the Aug. 30 edition of the Herald-Star. In the Aug. 31 edition, it was reported that the FirstEnergy plants in Stratton and Shippingport, Pa., have a combined employment of 550 people. In Murray’s interview he said for every coal-mining job loss that 11 other jobs will be gone. Now is the time for all politicians, from state to local, to contact Robert Murray. He lives in the Ohio Valley and he seems to be accessible. Together, both can work to keep these coal-powered plants in operations for years to come.